I believe that today's Indian women are pretty much warming up to the idea of adding a twist to the previously prevalent Indian Ethnic wear designs. 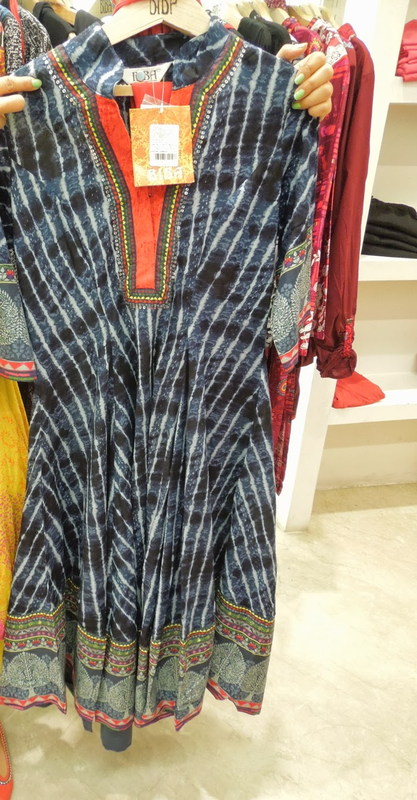 For a lot of women who are not comfortable with western wear and kind of hit a wall when it comes to finding perfect designs and styles in ethnic wear, then you needn't go that far, coz a BIBA store could be right near you. And when I say that they have taken a bit of a tradition and converted it into art, I do mean it. 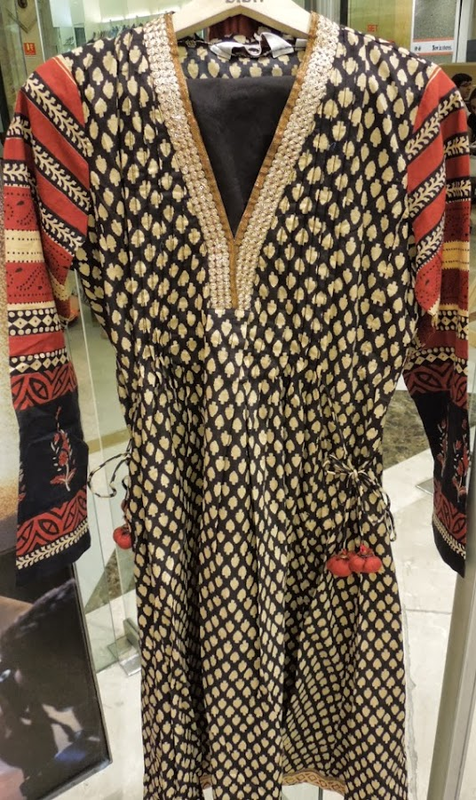 This time while I was reviewing BIBA's recent collection, I discovered that they have everything under one roof for women of every age-For women of today ! For a college going girl to an office going women, and for the ones who want a flamboyant design to boast about in a party, BIBA has all that and a lot more to offer. 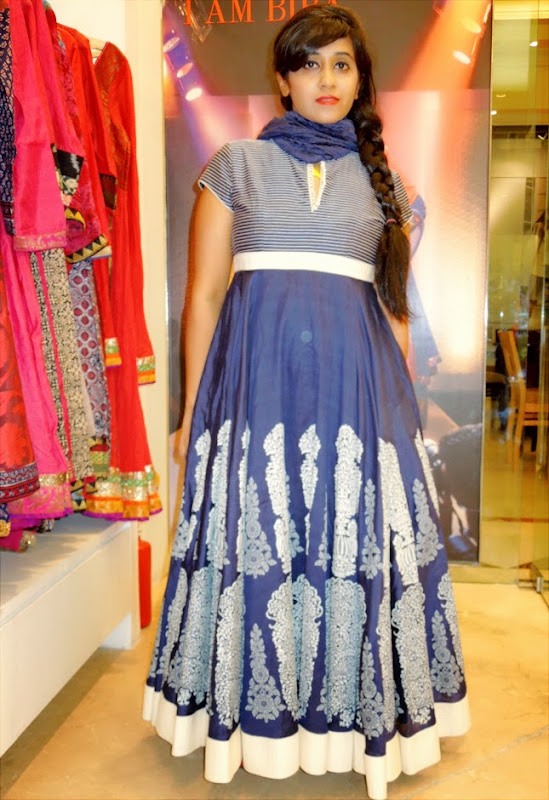 U look gorgeous in both outfits Surbhi..but more so in the blue anarkali. love the outfits..and that 1st photo! Oh my goodness! Those dress are beautiful and modern. I love the print on the first dress you're wearing. Very interesting dresses. Great day. Babe, I am in love with the first picture of yours! And I want to try these Biba suits so badly.. When I come to India, I am deifnitely gonna buy lots! LOL..
Wow, this is so beautiful! I love those dresses! WoW! 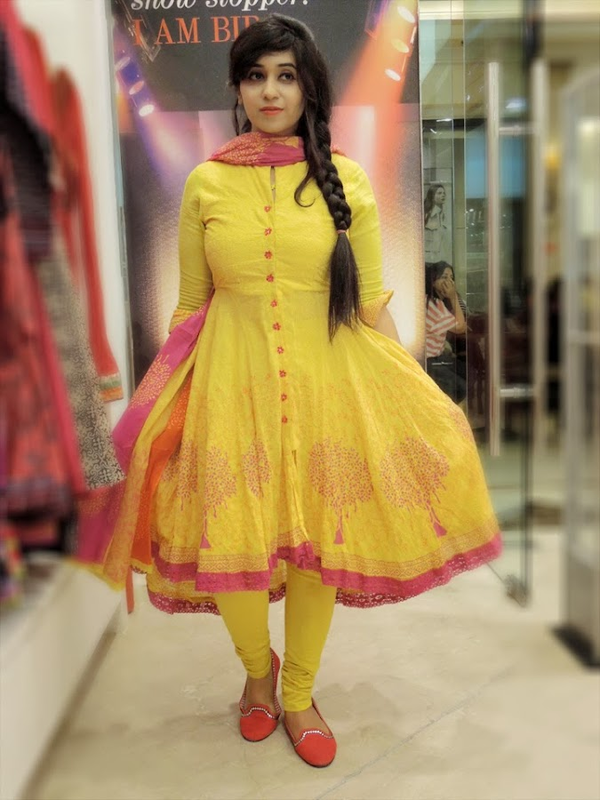 You look gorgeous in the first anarkali! Love it! Beautiful garments! I love the colors used. Now I'm following you!! follow me back?? What an amazing collection! I just love the beautiful colors and patterns! Very unique which is fantastic! You are looking perfect! 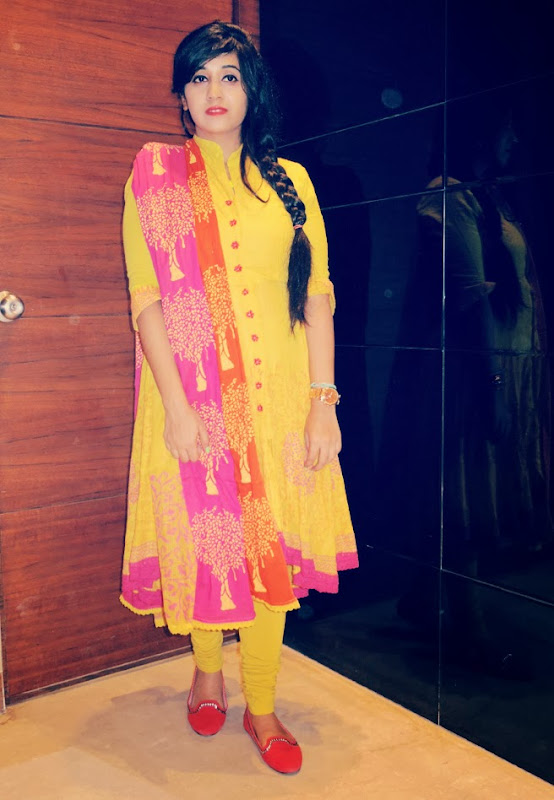 Especially in the yellow salwaar kameez..wow! I followed you !! would you do me the same? love the first dress! gorgeous! :) Make sure to check out my latest looks! :) one big kiss! omg they have amazing clothes. i'll have to visit them soon! you look really pretty in the outfits! The Rohit Bal for BIBA is to die for !! 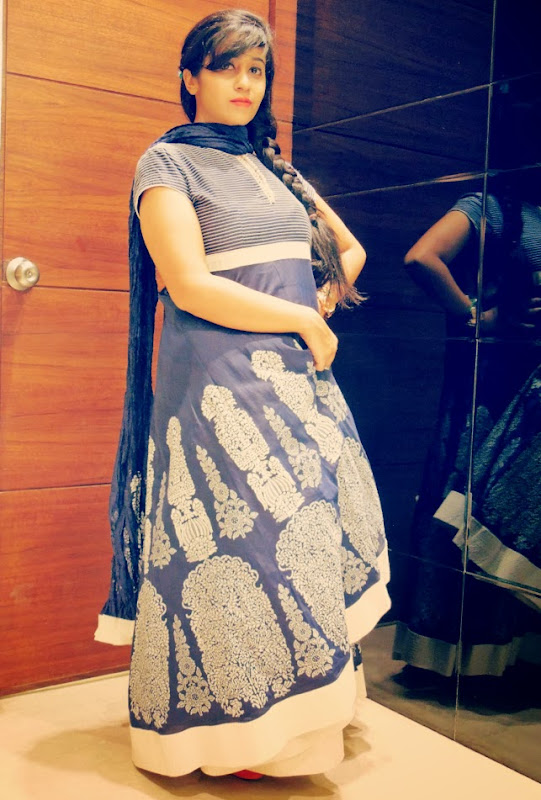 I'm loving your favorites too:-) You look as gorgeous in Indian wear as you do in casual, dresses anything for that matter! nice designs which you offers in blog. 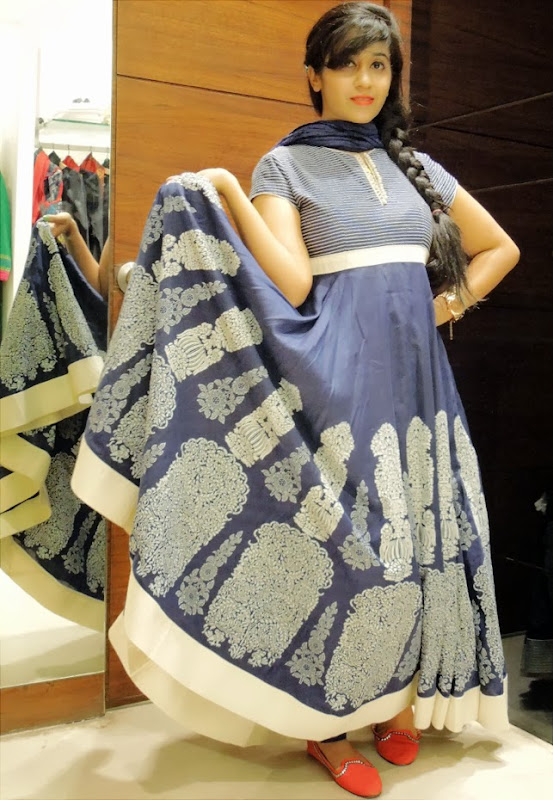 The blue salwar suit designed by BIBA is an excellent piece. BIBA is one of the pioneer name in fashion retail industry. I often appreciate its designs. 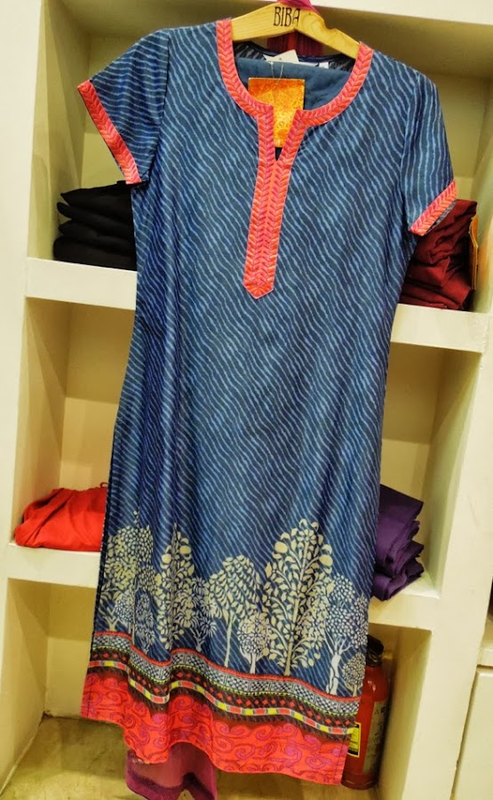 Fabulous collection of Biba kurtis.. Loved it, Personally I would rock option blue and yellow dress. 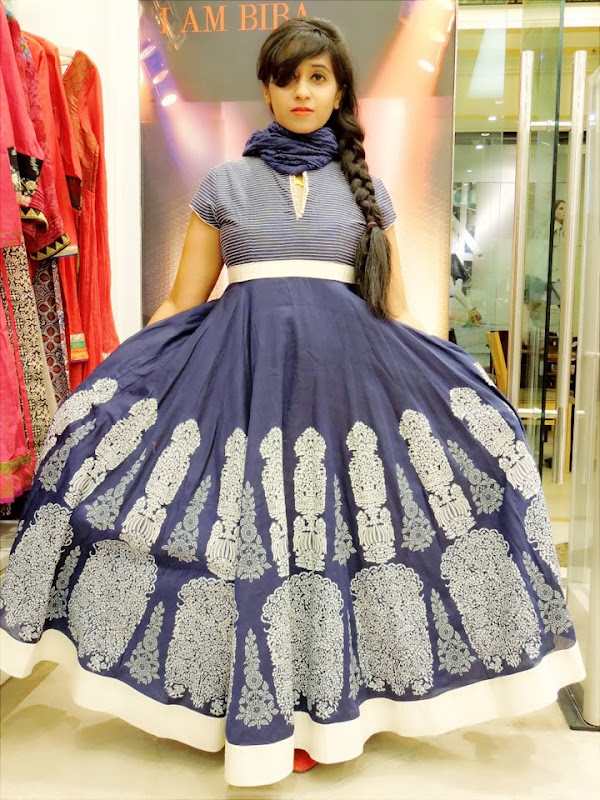 it's amazing and beautiful Indian athnic wear collection. it has a different designs, style and structure. 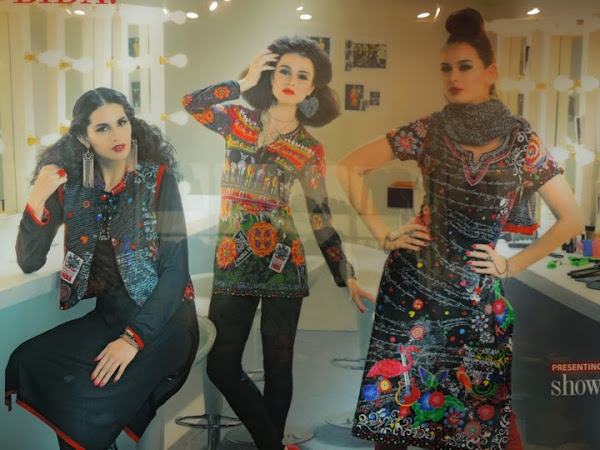 i like this India ethnic wear collection. thanks posting.. 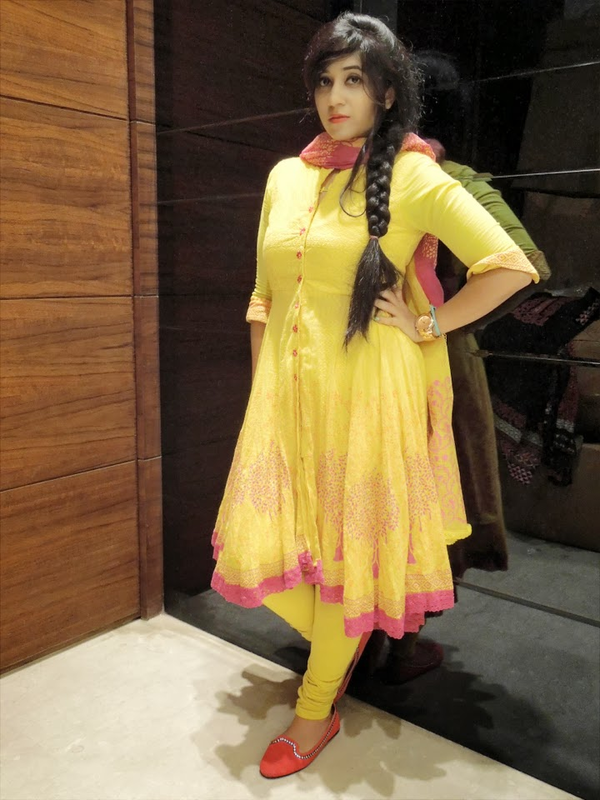 Thanks for sharing with us great blog Ethnic wear . I really like this blog. Most Popular & Pioneered Entertainment Media Platform Engaged and Devoted to Colorful Pakistani showbiz Industry,Primarily Focus on Tv. Provide quality video only only dramapk.net. This is a specific show that I watch and listen to. The host, Andrew Warner, interviews successful entrepreneurs, mostly from the online startup world. If that's a topic that interests you, the interviews are excellent and there are transcripts available with each show. Hii...I liked the 2nd dress but couldnt get in green n pink combination in hyderabad stores.